The Alchemist is the story of a boy called Santiago who gives up his simple life as a shepherd to pursue his true desire and treasure. Along the way, he encounters many setbacks but despite it all, keeps going. 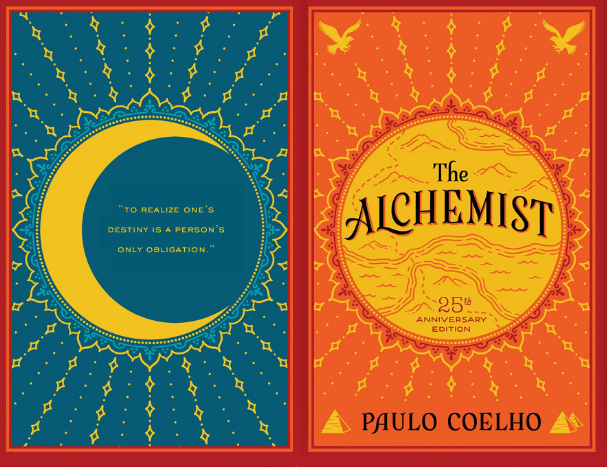 Paulo Coelho is a very highly respected author and The Alchemist is considered a masterpiece, highly praised around the world. Which is why I struggled to understand why I took quite a disliking to this book. I had first heard about this book from my classmate who had done an independent novel study on another book by Coelho, and she spoke so highly and passionately about him that I practically sprinted to my local Library to check it out. I am not a particular fan of writing negative reviews, but in the interest of being completely truthful,l this was one of, if not the most painful book I have ever had to read. There are no words that could truly describe the agonizing gut-wrenching pain that I underwent in trying to read this book. I am not a huge fan of the quest/mystical and fantasy books which might have been a huge factor in my strong dislike for this book. The Alchemist is beautifully written, with such vivid descriptions I felt like I was right there walking next to Santiago, hearing, seeing and smelling what Santiago heard, saw, and smelled. But the main reason that I think I did not enjoy this book was because I found it to be very melodramatic and far fetched. There were many occasions where the wind spoke to Santiago, which I find to be utterly ridiculous, as wind is just air that is moving or in motion, and air is just made of mostly nitrogen. And do you know what else is mostly made up of nitrogen? Flatulence, also known as farts. Essentially, I believe engaging in a conversation with the wind is basically equivalent to having a conversation with farts. Which to me seems to be little far fetched. However, through my suffering I have learned something that I think is very relevant to life and the real world (outside of conversations with the wind). The proverb by Coelho, so magnificently written, says: “Everything that happens once can never happen twice. But everything that happens twice will surely happen a third time." Having only lost my wallet, keys, computer, and phone once, I have been very comforted by Coelho’s wise words. However I would still recommend this book to all readers because everybody has different views and tastes. And although I would rather run a marathon through the Sahara desert than read this book again, you could fall madly in love with this book and it could change your life. I would like to challenge you to read The Alchemist and see for yourself.